We start from assessment of the current raw log files to finds trends in traffic entrances, traffic exits, site and information architecture inefficiencies and other relevant data which opens your eyes what it takes to improve the status quo. 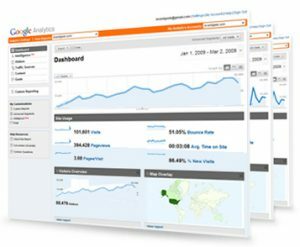 Working with our proprietary processes, toolsets and over 20 years of website analytic insights, we help your online efforts result the way you intended going into it. We go beyond typical “off the shelf” software to measure and analyze a site’s performance/effectiveness. With a mixture of years of top-tier agency experience in design and usability as well as enterprise-level web software development, we take a holistic approach to see the big picture. It’s not only about the stats. It’s the story behind the data and the design. Below are areas we test for understanding a site’s current performance and giving the clearest understanding that guides a better experience for your visitors (and . . . more revenue). PRIMARY PATH WITH DROPOUT RATES – From different channels of entrance, when are they dropping off and why are they leaving? GENERAL TRAFFIC REFERRALS – Where are people being guided to you from? REFERRAL TYPES THAT CONVERT – what sources of traffic actually make you money? SALES VOLUME TO TRAFFIC – How much traffic are you currently getting and what of that is actually bringing in money? DEMOGRAPHICS – What is a snapshot profile of is coming to your site? ENTRY VS. EXIT PAGES- Where are visitors coming from and where are they leaving from? KEYWORD ANALYSIS – What you’re trying to say to search engines? What you’re actually saying? INCOMING KEYWORDS – What keywords are working to get visitors through to your site? CURRENT STANDING IN SOCIAL COMMUNITIES – How are your efforts in social media and is it working? BROWSER TYPES – Are you compatible with all browser types that are coming to or could potentially come into your site? COMPETITIVE LANDSCAPE – How do you stack up with competitors’ efforts online? HEAT MAP REVIEW – Be a fly on the wall to see what your visitors are actually clicking on and where their attention is focused. DESIGN ISSUES – Are there weaknesses in the design of the site that lead people astray or frustrated? SITE LOAD TIMES & PERFORMANCE – Is the loading of the site efficient to keep the momentum of the visitor’s interest running? FLASH SUPPORT – Are you using Flash in a way that helps or hurts your visitor’s experience and ultimately, conversion? MOBILE DEVICE SUPPORT – Are you accounting for the ever-growing trend of people trying to find you from a Smartphone and making sure you accommodate that technology getting a similar experience? SEO VALUE/SITEMAP REVIEW – Is your site’s architecture set up to facilitate usability to the visitor and visibility to the search engines? KEY SEARCH PHRASES – What are your key phrases that are affecting your business and what should you be going after? REPUTATION MANAGEMENT – What are people saying about your brand/product/service? What can you do about it? RESOLUTION SUPPORT – Are you accounting for moving trends in screen resolution and how the visitors are seeing you? INTERNATIONAL SALES SUPPORT – Is there opportunity for international sales and are you leaving that on the table? DOWNSTREAM SITES – Where are visitors going after coming to the site? SPECIAL CONSIDERATIONS – Other unique considerations about your site that need improvement.